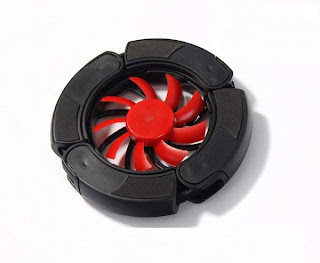 If laptop fan has problems then fan creates constant whirring noise that can get on anybody’s nerve quickly.There are actually a few things you can do to reduce the noise of your laptop fan, and some of these fixes do not require you to spend any money at all. Your first option is to download a program that allows you to adjust the speed of your fan. There are many such utilities to be found all over the Internet. Once you have installed the program, go to the window where you can adjust the settings of your CPU fan. This is most likely the culprit when you have laptop fan problems that involve noisy operation. In the controller settings, turn down the fan speed in order to reduce the amount of noise that the fan produces. Keep in mind that this fix is not really a good idea if you are operating your laptop in hot conditions. Another option is to replace your current fan with an ultra-quiet model. Of course you will have to spend for this fan as well as for the installation, unless you plan to install it yourself, in which case all you will have to pay for is the new fan. The steps involved in this procedure are the opening of the laptop case and unscrewing the bolts that mount the current fan to the motherboard or chassis. Remove the fan as well as its power cord and place the new fan on the mounting brackets the same way the old fan was positioned. Screw it back into place and reattach the power cord, making sure that it is properly seated. If you have done everything correctly you will get the absence of noise coming from your fan.